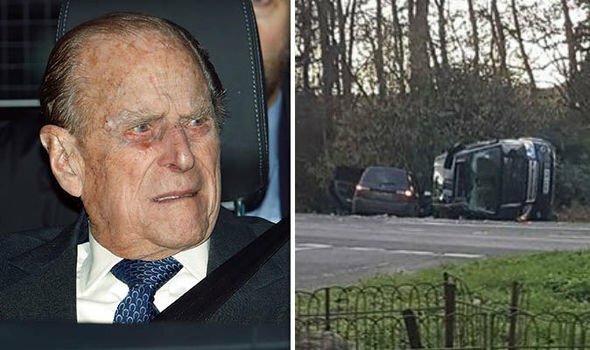 Buckingham Palace says the 97-year-old husband of Britain’s Queen Elizabeth II, Prince Philip, has been in a car accident but wasn’t injured. With all due respect, why is a 97 year old with health issues driving? A good man…. good to the Jews! His mother risked her life to save a Jewish family in the holocaust..
His Royal Highness also stopped and gave me great kovod in front of 300 people and asked me about my tzitzis, when I receive the Duke of Edinburgh’s Gold Award from him in St James’s Palace in 1993…. Why did you receive a reward? Reb Dons, I am not sure what Prince Philip you met, but the one who is the Queens husband is a known Jew hater. Prince Philip is worshiped by some of the people of Vanuatu (check out Prince Philip Movement in Wikipedia). I believe proper Western etiquette requires bowing to him. I’m wondering if this presents a halachic problem. The altere geezer has Alzheimer’s. He is probably quite violent if he doesn’t get his own way & the Queen never was able to control him, especially his mouth. Take away his keys & get him a driver, I think the family can afford it.